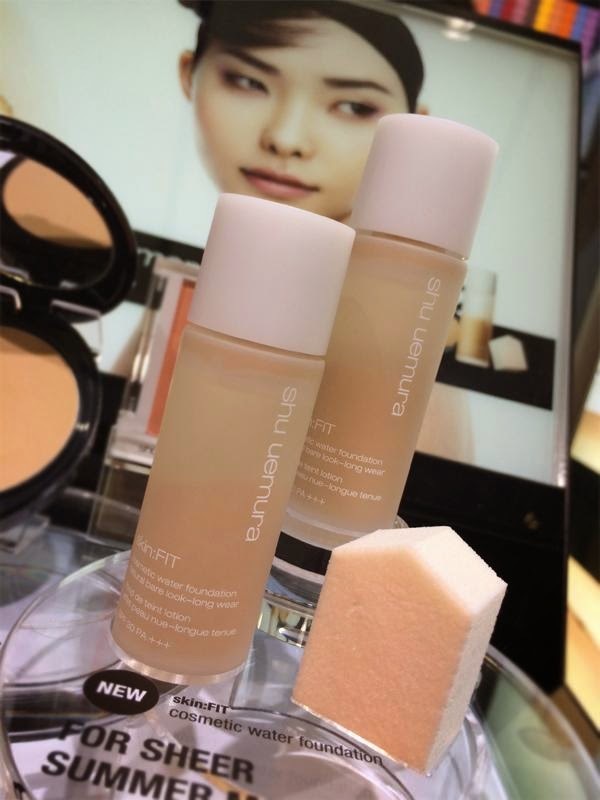 Shu Uemura will launch this Skin:Fit Cosmetic Water Foundation SPF30 PA+++ (5200yen, 30ml) on 1 June in Japan. Inspired by Japan's traditional liquid face powders, it is an oil-free, water-based formula designed to provide a longlasting natural bare look. It also contains mint for a refreshing feel. Pics below from Tokila. See more pics from the press preview here. This looks really interesting. Maybe this is a Japanese version of those really liquidy foundations that come in a dropper bottle. I hope it comes to America. I don't think so as this is supposed to be an oil-free formula whereas those liquidy foundations in a dropper bottle usually contain fast evaporating oils, like Armani Maestro or YSL Fusion Ink. 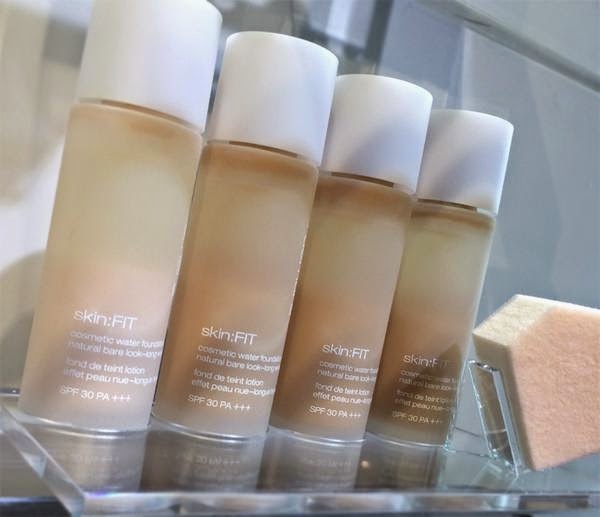 I suspect that this is more like a liquid foundation with powder suspended in it, which you need to shake up before applying. I recall another Japanese brand IPSA used to have such a foundation but it did not perform that well on my skin. Hopefully, this will be a more innovative and high performing formula. I'm hoping it's not a foundation for oilier skint types. When I read the liquid face powder part, I immediately thought it would be similar to Paul & Joe's new foundation, which was way too drying and matte for me, and I have combination skin! I hope we get it in America, because I'm highly intrigued by the long lasting and natural bare look claim.